​​If you stutter, you are not alone. Welcome to the Portland Chapter of the NSA! 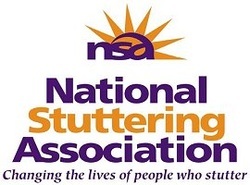 The National Stuttering Association (NSA) is the largest self-support organization in the United States for people who stutter. The NSA is a nonprofit organization dedicated to bringing hope and empowerment to people who stutter, their families, and professionals through support, education, advocacy and research. The NSA has over 70 local chapters across the country. For general information about stuttering, treatment, and advice: check out the National Stuttering Association website. The Portland Chapter of the NSA is an adult support and social group that provides a safe and friendly atmosphere for persons who stutter or have an interest in stuttering. Together we simply share experiences involving our speech and support each other with any personal goals. Although we are primarily an adult support group, we also welcome young adults who are interested in joining us. We meet regularly for mutual support and social activities. While we do not promote any specific speech therapy techniques, members are encouraged to practice communication skills in a safe environment. Meetings are held monthly on the 4th Tuesday of the month from 7 PM - 8:30 PM unless otherwise stated. Please go here for details. We always welcome new members, whether you yourself stutter, you know someone who stutters, or would just like to be involved in the stuttering community. In addition to our monthly meetings, we have frequent social gathering opportunities. Please contact us if you have any further questions. We look forward to meeting you!